← Last Weekend I Went to a Barn Raising. We all know the story of the first thanksgiving. The Pilgrims were dying off because they couldn’t grow enough food. Then the Indians came and taught them some tricks of the trade to help their crops. (The Indians might be second guessing that one?) 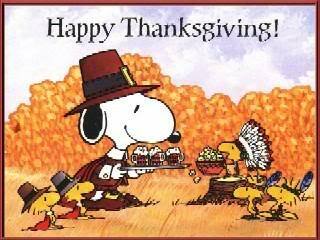 With this newfound knowledge, the Pilgrims had a bountiful crop and shared a great feast with their Indian friends. And the Detroit Lions won in overtime. After a few years of declining harvests and starvation the governor realized that something must be done. So in 1623, he gave a plot of land to each family, and let them grow their own crops to feed their own family. The result was the men worked harder and the women joined in to help with the harvest… and the crop yields soared. Let’s be thankful that the Pilgrims discovered the magic of private property rights. John Stossel has a new show on Fox Business Network (don’t judge) highlighting libertarian ideas. On his Thanksgiving show he discusses the plight of the Pilgrims and the how the tragedy of the commons still affects us today. Below is part one and the rest can be found on Youtube if you’re interested in checking it out. This entry was posted in Community and tagged John Stossel, pilgrims, property rights, Thanksgiving, tragedy of the commons. Bookmark the permalink.